Urszula is a partner in the Hong Kong office, specialising in financial services regulation, including AML / ABC, regulatory investigations, data protection and complex fintech products and payment systems. Urszula regularly acts on major regulatory reforms, and loves nothing more than a good structure chart and a martini. When she’s not window shopping for art or the next costume party, she enjoys dragging her kids around the world and trail running. Darren is a partner in the London office. He has a wide ranging experience in regulatory investigations, commercial litigation and arbitration. Darren’s areas of expertise include banking and financial services litigation, contentious regulatory matters with a focus on trade finance compliance, corporate investigations and the creation and implementation of compliance procedures. His experience includes advising financial institutions and major corporates across a number of sectors including transport, energy and telecoms. Evan is a registered foreign lawyer (senior associate) in Hong Kong specialising in financial regulation, digital assets, wealth management, financial services licensing, stored value and financial technology. When not in the office, Evan is either enjoying Hong Kong’s amazing restaurants, or outdoors trying to burn off the damage to go again. Jane is a solicitor in the Brisbane Dispute Resolution team. She is keenly interested in the global push to end bribery and corruption in international business and enjoys helping clients meet their obligations domestically and abroad. When Jane’s head isn’t buried in paperwork at her desk, she might be found enjoying Queensland’s sunshine and beaches or (more likely) knee-deep in farmland Lego with her young daughter. Leonie is a senior associate in Hong Kong, specialising in multi-jurisdictional financial crime investigations and compliance advisory. Leonie has led a number of internal investigations on behalf of corporates, financial institutions and individuals being investigated by a range of prosecuting authorities. Leonie has led financial crime compliance reviews for multi-national companies, stress testing AML, sanctions compliance and anti-bribery systems and controls against global best practice. When she’s not fighting the good fight, Leonie enjoys exploring Hong Kong’s hiking trails and rock pool scrambling with her kids. Emma is a solicitor in the Brisbane Banking & Finance team. She specialises in securitisation and corporate finance. Having undertaken a secondment in the Hong Kong regulatory team, she is interested in financial crimes with an international flavour. In her free time she likes to read, travel and read about travel. Jordan is a solicitor in the Brisbane office working in anti-bribery & corruption team. In addition to his role with KWM, Jordan conducts research in conjunction with the University of Queensland focusing on international instruments, standards and national laws with respect to money laundering, corruption, terrorism financing and proceeds of crime. When he’s not working or researching, Jordan can be found at the gym pumping iron, or just catching up on the latest episode of his favourite TV show, Supernatural. Currently on secondment with the banking and finance team in Hong Kong, Marina is enjoying assisting with a broad range of regulatory, fintech, derivatives and lending matters, and overindulging in dumplings and egg tarts. Back home in Sydney, she loved nothing more than advising on ISDAs, netting, clearing, securities lending, prime brokerage, guarantees, set-off, and financial services regulation. 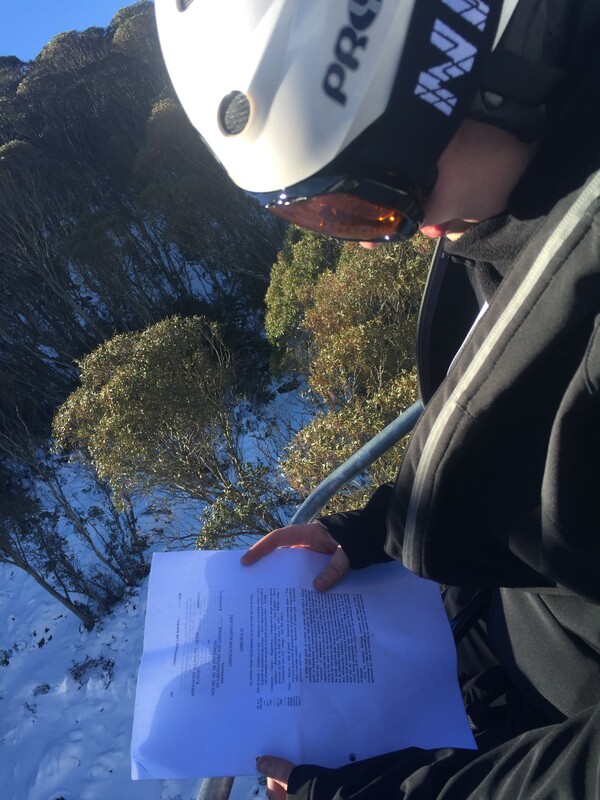 In her spare time, Marina delights in travelling to attend her friends’ weddings, learning to code, and reading case law (even on ski lifts). Jack is an associate in the Hong Kong office, with experience across a range of non-contentious and contentious regulatory issues (with a dash of criminal defence thrown in for good measure). When not in the office, Jack is often seen lurking around gong cha stalls and extolling the benefits of Hong Kong’s Octopus card to anyone within earshot. Kellie is an associate in the Hong Kong office focusing on non-contentious financial services regulation. She has experience on advising banks, financial institutions and other businesses on various regulatory matters, as well as preparing and reviewing standard client and product documentation. When she isn’t buried in paperwork, Kellie can be found in coffee shops either planning for her next overseas expedition or contemplating her next meal. Kendal is a trainee solicitor in the Hong Kong office specialising in financial regulation, AML compliance, digital assets, data privacy and financial services licensing. When not in the office, Kendal enjoys hitting the Hong Kong trails, sailing around Hong Kong’s islands to discover the best beaches and cheering on her beloved Adelaide Crows. Nikita is a paralegal in the Hong Kong Banking and Finance team, focusing on financial services regulation, regulatory technology, fintech and digital assets. Nikita loves nothing more than researching an unsolved mystery, alongside a cheeky cocktail on the beach. When she is not too busy playing dress up, she enjoys competing in a range of sports, previously playing on the Hong Kong women’s rugby team.